I heard that it is less reliable compared to Mitutoyo but I think that even if you actually try it you can use it without problems. This review is about item#36930984. Although I bought it because the price was cheap, the way of packing was sloppy, because the transparent cover of the measuring part of the dial gauge was broken so as to adjust the length appropriately by hand, cracks were contained. Although it would be judged that measurement had no influence, it was impression that it is not treated as precision instrument. Compared with Mitutoyo dial gauge at hand, although there was no big error, there were subtle differences depending on measurement range. Since it is not 1/1000 mm precision, it seems that internal certification is also going on, but I wanted you to be able to check the part made in China instead of domestic product on the page of monoteraw. If so, I think that I bought Mitutoyo products even if it was a little expensive. I reflect on my own responsibility that I misunderstood "domestic production" on the display "Niigata". This review is about item#36931011. 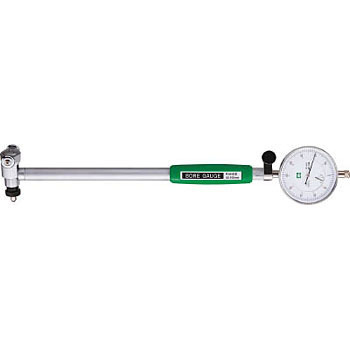 It can measure precisely without needle shake.